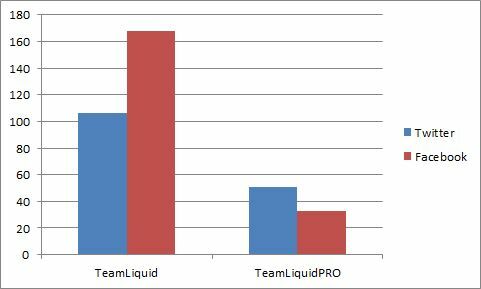 As i was doing some data visualisation for my resume, i was wondering how the numbers look like for profesional esport clans and teams. I remember when fnatic picked up their Unreal Tournament players from clan xtreme, and i remember Lauke being an amazing shock whore. Jesus they gave grown since 2003. I guess having the best CS:GO team in the world and top LoL team does work for them. The difference between Fnatic and other teams is astounding, as they have 800k more fans then Na'Vi and 1000k more then Alliance. 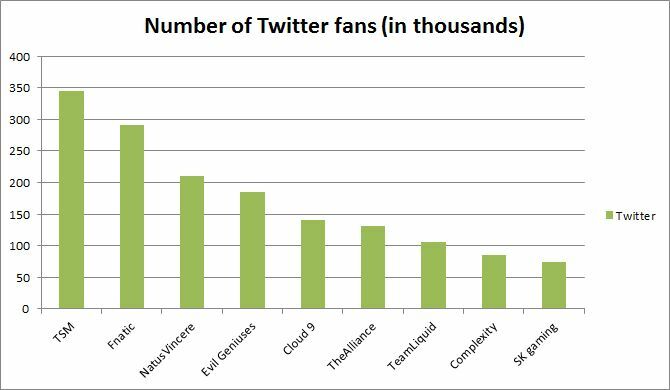 Also i was surprised to see Evil Geniuses have less fans then Alliance. TL is doing a pretty good job getting users to follow their professional team on social media, i did not expect such good numbers. If rumors are true and they pick up a League of Legends team, the numbers could rise quite fast. That's all for today, hope you enjoyed some numbers. I like numbers but what can you extrapolate from the numbers? What do the numbers mean? I don't really put a ton of emphasis on how popular or not a team is on social media because there's a lot more underlying factors in what goes into the popularity of a team - but seeing the numbers sure is interesting. Thanks! 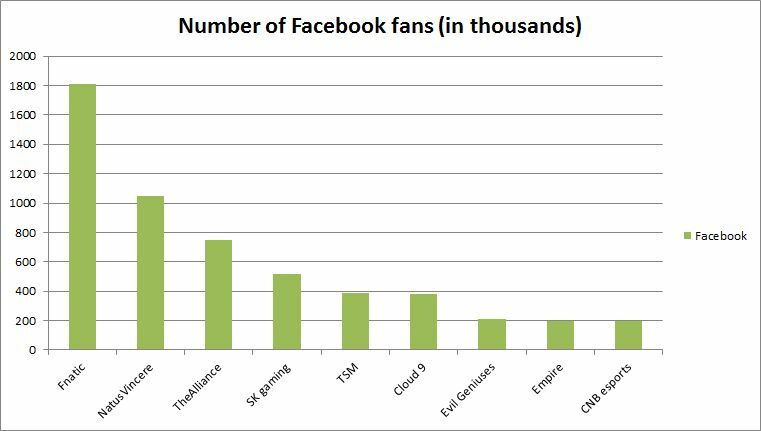 Just the number of fans that follow a team on a medium such as Facebook or Twitter. The greater the number, the larger the fan base. I noticed that Dignitas are missing, they belong to top 10 (293k Facebook, 95k Twitter), will have to update later. Right I get what the numbers mean, I mean what information can you get out of knowing those numbers? I didn't even know that Cloud 9 has more followers than EG. I guess it is because of LoL and not Dota, because there are more EE haters than EE fans.